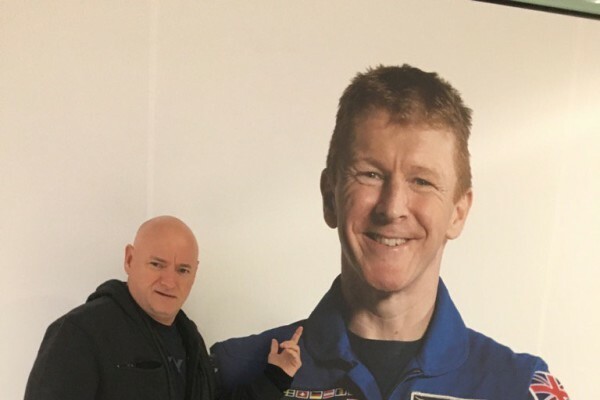 It was over dinner on Thursday night with team ‘Space Lectures’ Scott Kelly made an endearing tribute to his fellow astronaut Tim Peake, with whom he was stationed on the International Space Station during his historic 340-day mission. On this day, 47 years ago Astronaut Ken Mattingly, command module pilot, performs an EVA during the Apollo 16 trans-Earth coast. Mattingly is assisted by astronaut Charlie Duke, lunar module pilot. Mattingly retrieved film from the Mapping and Panoramic Cameras. He is wearing the helmet of astronaut John Young, his commander. The helmet's lunar EVA visor assembly helped protect Mattingly's eyes from the bright sun. On this day, 1966 The prime (Cernan & Stafford) and backup crew (Lovell & Aldrin) of Gemini 9 appear before a gathering of news media representatives during a press conference in the MSC News Center, Building 6. Space Lectures shared a photo.